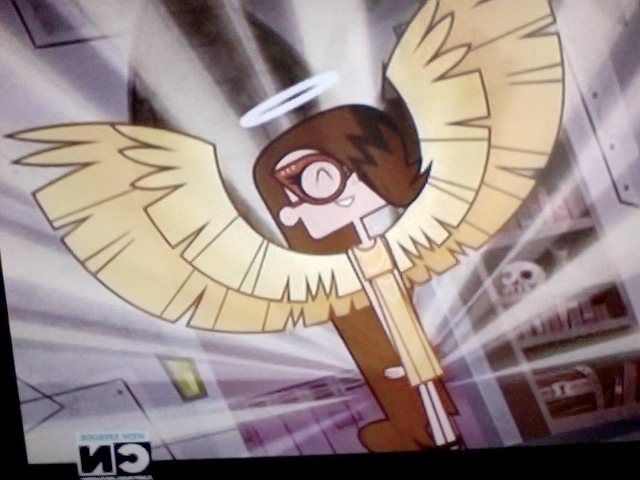 Sidekick: Eric thinks Mandy is a angel!. . Wallpaper and background images in the Cartoon Network's Sidekick club tagged: cartoon network nickelodeon cartoons photo sidekick mandy struction. This Cartoon Network's Sidekick photo might contain 电视接收机, 电视, 电视机, 白痴中, 显像管电视机, 眼镜盒, 白痴盒, 胸部管, 护目镜盒, 白痴框, 眼镜框, 轮盘赌, 轮子, 轮盘赌轮, and 轮.